You'll probably use quite a bit less yardage than the pattern calls for, at least for the 32" size. Started with front. This was basically because I was so anxious to knit that leaf panel, but it worked out for the best. 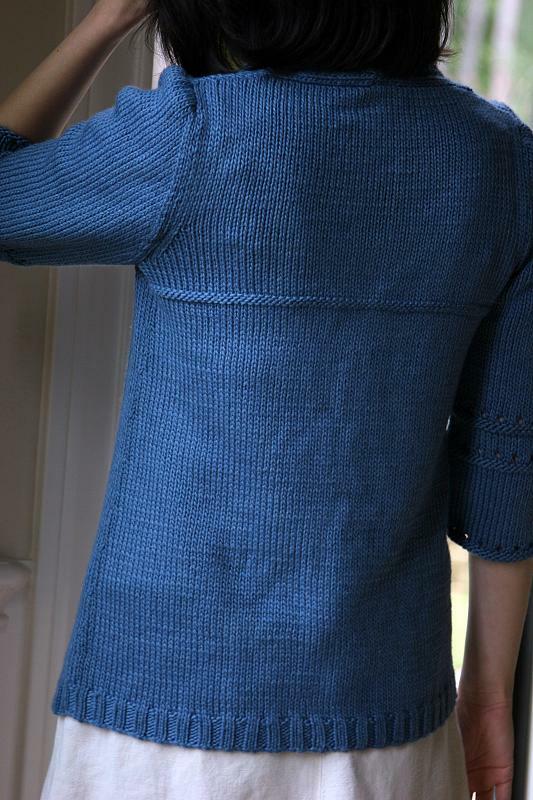 If you do the full pattern and have row gauge, you will end up with a longer length than the back. 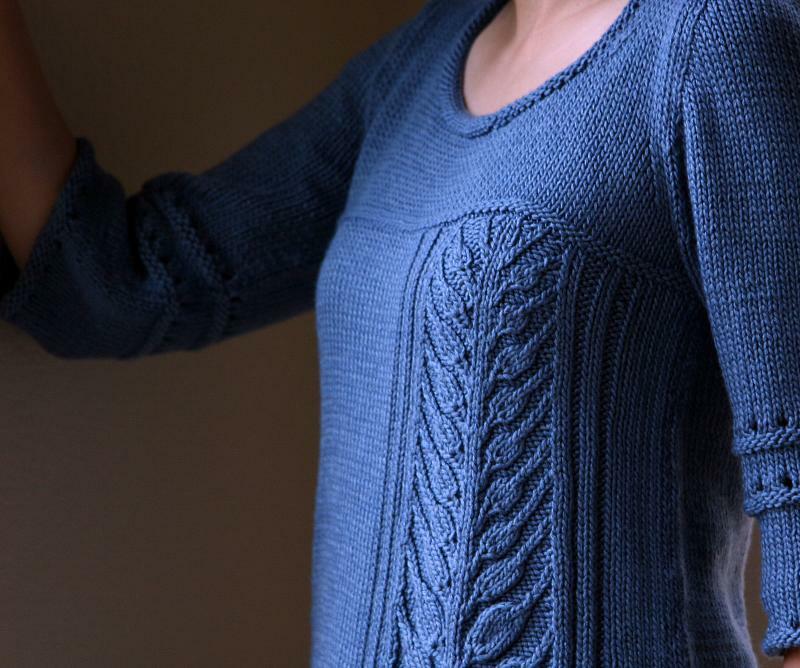 But if you start with the front, it’s easy enough to make the back match that length. Doing the front first means that you have to guesstimate a bit about the length of the neck extensions. 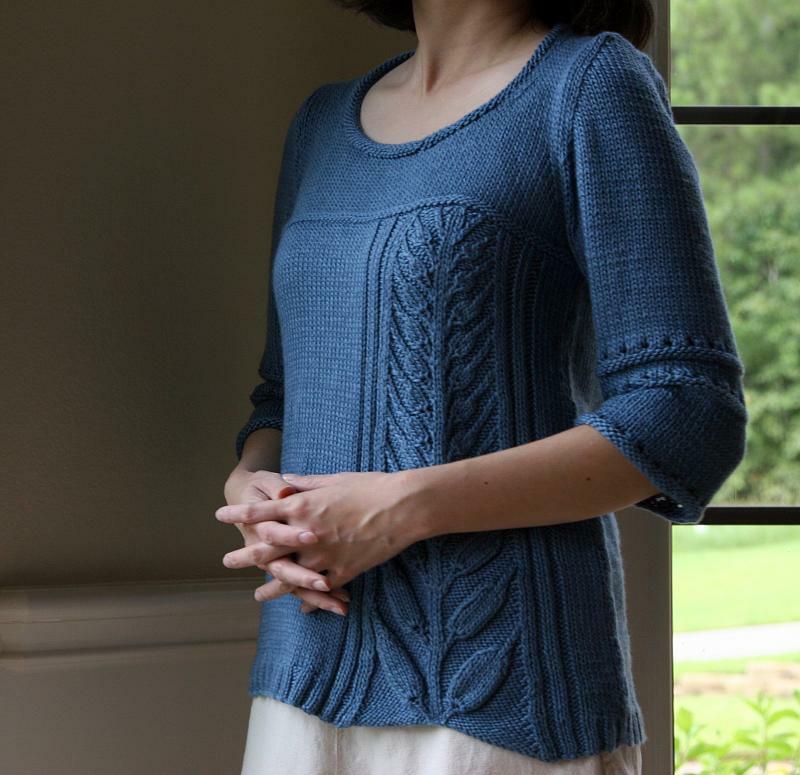 Go ahead and knit them to the measurements in the schematic, but leave an extra-long tail after you bind off so that you can go back and add to the length a bit if it doesn’t work out. 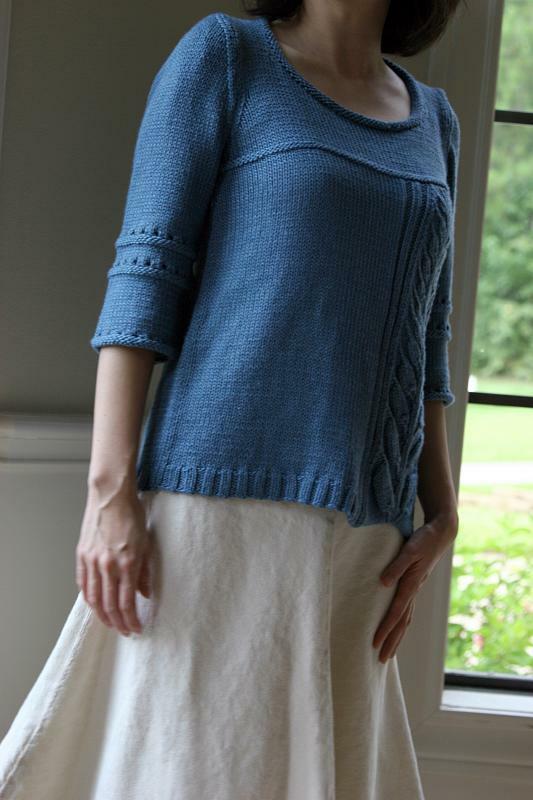 Back calls for 3 rows of a reverse stockinette ridge just under the armhole, but front only calls for 2 rows. Since I made the front first, I had to make the back match it, but I believe the directions for the back are the correct ones. I’m wearing this with 0” ease in the chest and about 1-1/2” in the hips. Wow, that is so beautiful! It looks like it drapes beautifully.